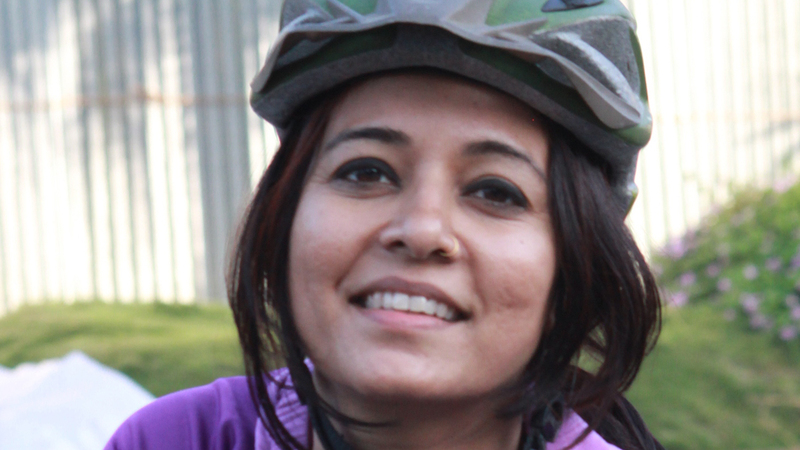 My name is Firoza Suresh, I am a cycling enthusiast and pledged to make cycling the currency of health, and to work towards sustainable transportation in Mumbai. With the Smart Commute Foundation – Cycle2Work | MeCycleRider initiatives I have ignited a movement for adopting cycling as smart choice for commuting in Mumbai. To support my cause I have collaborated with like-minded professionals and been guided by a knowledgeable Advisory Committee to spread the culture of smart commuting in India. Determined, passionate and die hard enthusiast, I hope to place India on the Global map of Cycling country. To inspire over 20% of Urban India to adopt CYCLING as a Way of Life by 2030. To impact a shift in new infrastructure priorities towards non-motorised transportation. To encourage more people to bicycle through campaigns/events/programs, education, road safety awareness & advocacy. Focus on creating Mumbai as a lighthouse city for others to follow. What are the obstacles and challenges you’re facing in your city? The major obstacles include a lack of Infrastructure to support cycling and other high risk areas like potholes & drain grates either they are open or poorly laid. There is a focus on the city only on encouraging motorised private vehicles onto the roads, for instance, our city has 2,000 km of roads and more than 65 flyovers – with more being developed & proposed – seems to be exclusively designed for cars and two-wheeler users. Most big-ticket mega-projects are planned and commissioned without fully understanding the implications of the costs & benefits, let alone the value of inclusive pedestrian and cyclist friendly design. These projects are of no value to the city’s commuting population. There is also a lack of cycle stand at the first & last mile and office facilities such as showers to make cycling more comfortable for employees. Bluntly put, catering to cyclists has been an afterthought with those who make the decisions on our transport infrastructure. What are your next steps now that you are the Bicycle Mayor? Building a core team of stakeholders and partner organizations to work together. Identify location in 24 wards of Mumbai city to install bicycle stands. Create short term goals for 2020 & long term goals for 2030. Liaison with authorities to create a Bicycle Department – the departments jobs include planning the bicycle track within the Development Plan, parking bays and also overseeing the co-ordination among various departments as well as to look into the funding from the Central Government. Initiate a Mumbai Cycle Plan including all the stakeholders. Identify the slum pockets (so-called Urban Poor) as they are easy to help build the critical mass for short commutes & last mile within the city.